Written by TeenTix Press Corps Newsroom Writer Serafina Miller, and edited by Teen Editorial Staff Member Joshua Fernandes! The show 14/48:HS consisted of seven premier shows all written, produced, memorized, and performed in 24 hours, the next night they do it all again. All productions put on are by teenagers, and everything from the set design to the writing and even the band are all done in under 24 hours. I saw the first seven shows that the company was putting on throughout the weekend-long event and the drive and passion shown was astonishing. The shows were created in teams and reached through several genres and topics. Some plays were comedies, such as “Finishing The Block” or the show “Spiral” which included a multitude of hilarious metaphors to describe the ridiculous plot of one of the characters not being able to stop spinning in circles. Others were mysterious or serious, such as “Onto the Carousel” that never quite gave an answer to the audience's questions about the story. The shows were focused on different topics and the writing style varied from writer to writer, but all shows had an element of comedy unique to each piece that enhanced the production such as situational irony or a hint of sarcasm in the dialogue. This was used quite often in an amusing play about twins called “Identical.” The plays also had a deeper hidden message, whether it was evident through the words and body language like the show “Deja Vu,” or hidden behind jokes and clever repartee. Two shows performed, “This Dance” and “Try This On For Size,” are brilliant examples of this doctrine; both began with a series of comical actions before coming to a profound ending that gave the show a strong moral philosophy. The writing of the shows was way above the standard for teenage writing, which further highlights the incredible dedication that the students participating have. Along with the astonishing writing done for the productions, the acting was exemplary. While most students had one or two microscopic errors, no one completely stopped and rarely did anyone completely break their character. It's incredible to see in a show with such time constraints how they made fewer mistakes than many large-scale productions, in which actors have months of preparation for. The Glenn Hughes Penthouse Theatre, where the shows were performed, had a more intimate setting than larger productions at a place like the 5th Avenue Theatre. With only three rows in a circular formation, the audience was incredibly close to the performers throughout the production. This gave the people watching a close-up look at the dedication of the assiduous performers. You could see their hard-work and love for their art form written on their faces. Their acting was intrepid, and a perfect example of the unnoticed dedication that is present in so many teenagers today. All students participating in 14/48:HS showed just how astounding student work can be when it is pulled into the spotlight. Not only with the spectacular writing, production, and performance of the show, but also the set designers and remarkable band who created their own parts of the puzzle with the same time constraints to add an often overlooked, but necessary element to the shows. 14/48:HS is a spectacular organization as well as a show. The work 14/48:HS does is important because it gives kids a space to be creative by doing what they love. By giving students that platform, the participants can, in turn, inspire other students to do what they love, because somewhere out there is a space for them to share it. 14/48:HS shows kids and adults alike how important student work is, and how extraordinarily talented students of this generation are. 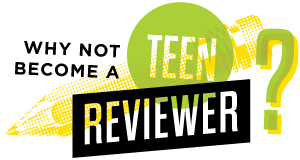 The TeenTix Newsroom is a group of teen writers led by the Teen Editorial Staff. The Editorial Staff is made up of 5 teens who curate the review portion of the TeenTix blog. More information about the Teen Editorial Staff can be found HERE.